Across the nation and around the world, the Savannah State University National Alumni Association promotes the interests of Savannah State University and brings together the SSU family. 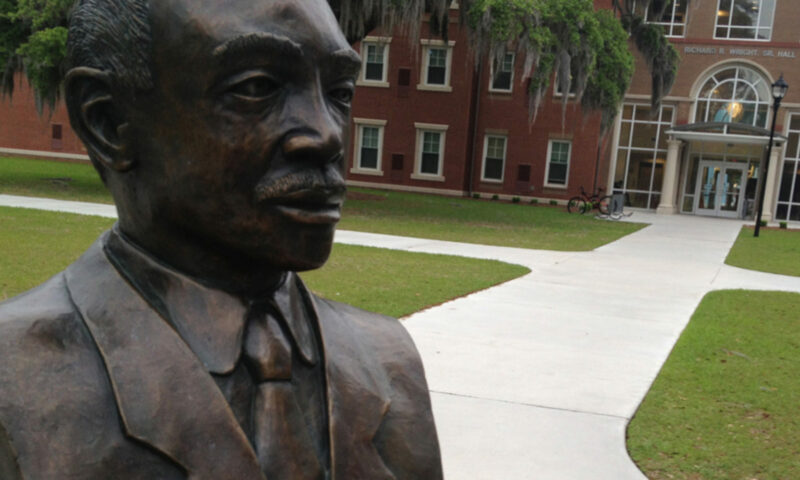 The purpose of the Savannah State University National Alumni Association is to promote the progress and the development of Savannah State University. The Savannah State University National Alumni Association is a Georgia Domestic Nonprofit Corporation. The SSUNAA is tax exempt under provisions of section 501(c) (3) of the Internal Revenue Code and the Internal Revenue Service has ruled that contributions to the SSUNAA are deductible by donors as provided in section 170 of the Code for Federal income, gift and estate tax purposes. The SSUNAA is a member of the Georgia Alumni Association of Historically Black State Universities and the Council of National Alumni Associations and an active supporter of the Legal Defense Coalition for the Preservation of Public HBCUs. Membership in the Savannah State University National Alumni Association brings you access to a variety of exclusive programs designed to keep you connected to the university and the power of the Savannah State family. Our strong alumni network not only enhances the value of your Savannah State University degree, but it also gives you the chance to meet other Savannah State alumni in your local area. Thousands of alumni have already discovered that the best way to stay connected and show their SSU Pride is to join the SSUNAA. Join your fellow alumni and become a member today! Join the Savannah State University National Alumni Association and join the conversation on Georgia Senate Bill 273. DUBLIN, Ga. — The 2019 SSUNAA Southern Region Conference will be held May 1-2 in Dubin, Ga. Alumni living Georgia, Florida, South Carolina, North Carolina, Alabama, Tennessee, Arkansas, Louisiana, Kentucky and Mississippi are encouraged to attend. Regular membership in the Savannah State University National Alumni Association is open, without discrimination, to any graduate, former student, faculty and/or staff member of Savannah State University who meet all financial requirements of the association or are awarded an honorary or complimentary membership. Membership in the SSUNAA also brings you a variety of exclusive programs and benefits designed to keep you connected to the university and the power of the SSU family. Join your fellow alumni and become a member today! NOTE: Any adult who exhibits a genuine interest in the development and progress of Savannah State University who does not qualify as a regular member may be accepted as an associate member. Any person who has made a significant contribution to Savannah State University who is not a regular or associate member may be selected as an honorary member upon recommendation by the Executive Committee.